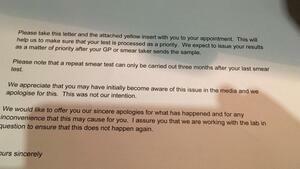 The HSE sent out letters to 6,000 women informing them they needed to have a repeat smear test. These 6,000 women would have initially tested positive for low-grade abnormalities after having a smear and would have then been subsequently advised to have an additional HPV test within 30 days of the initial smear test. But their additional HPV test was tested – by Quest Laboratories – beyond the 30-day limit. The practice of being advised to have an additional HPV test, on foot of a test showing up low-grade abnormalities, began in Ireland in 2015. But the acting Clinical Director of the HSE’s cervical screening programme Peter McKenna said recently that the problem was only detected at the end of November last, while the scale of the problem unfolded in December. “We appreciate that you may have initially become aware of this issue in the media and we apologise for this. This was not our intention. Posted in Misc and tagged 6000, Cervical Check, HPV, repeat smears at 12:18 pm on February 5, 2019 by Bodger. I WANT a screening programme that I can trust. I have a daughter that I will be leaving behind. So get off your high horses and help me to change and to ensure that we have a screening programme that we CAN trust. On July 31 last, terminally ill Limerick mum-of-two Vicky Phelan tweeted that she was taking a break from campaigning about the CervicalCheck scandal. In a series of tweets, she said she was “deeply disturbed by the lack of empathy in some quarters towards the women and families affected by the scandal”. She also mentioned that some people had been condemning her for apparently “bringing down the cervical screening programme”. “The number of women availing of routine cervical screening offered by CervicalCheck has remained steady – and even increased in certain instances – despite concerns that publicity about the scandal would turn women away from the free tests, new figures reveal. “The take-up of routine BreastCheck appointments by women who can avail of a free mammogram every two years has also not fallen. Posted in Misc and tagged Cervical Check, Vicky Phelan at 1:38 pm on August 21, 2018 by Bodger. On RTÉ One’s Today With Seán O’Rourke. 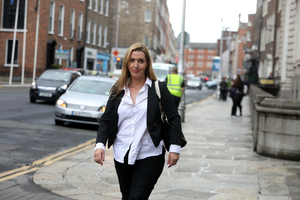 Solicitor Cian O’Carroll, who represented Limerick mum-of-two Vicky Phelan in her recent High Court action, said he doesn’t trust the HSE’s position that just 206 women who developed cervical cancer after having a misdiagnosed smear test should have received earlier intervention. Mr O’Carroll explained he cannot trust the figure because it was reached by the very same company that gave the wrong test results in the first place. Readers will recall Ms Phelan was awarded €2.5 million in a settlement against Clinical Pathology Laboratories in Austin, Texas – which receives outsourced smear tests from Ireland – last week. During Today with Seán O’Rourke, Mr O’Carroll was asked what type of inquiry should be held into the matter. “HIQA [Health Information and Quality Authority] is geared towards clinical standards and if the focus of this investigation is solely around clinical standards, that would be wrong. “Because what’s happened here is well beyond that. 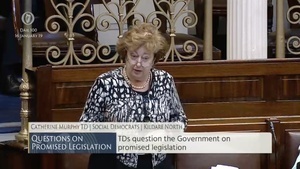 “This has got to do with corporate governance within Cervical Check, the HSE and the Department of Health. “We have to find out why a direction was given to deceive the families of women who are dead and to deceive women who are now gravely ill. That was clearly done deliberately, having consciously considered what the plan would be to inform clinicians as to what they would do next and that’s clear from the correspondence we’ve seen and, of course, that letter from July 2016. I think an inquiry has to look at, first of all, the quality issue. “What were the quality standards? Were they acceptable, benchmarked against international expected standards for cervical screening? “That is a clinical governance issue. “Secondly, there must be an inquiry, whether it’s part of that or by a separate agency, looking at the cover-up. “Who was responsible? Who knew? 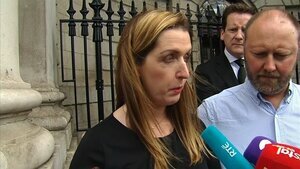 “And thirdly, related to Vicky Phelan, why is it that her case was fought so vigorously, even when the minister [for health Simon Harris] himself was informed about this case two or three days before it began? “What was it about this case that they were so determined that she would be forced into a confidentiality clause that, through her courage, she ultimately defeated them on. “There are a lot of people out there who are very worried and a lot of people who feel, from their own experience, they’re telling a story that’s remarkably like Vicky Phelan’s and I think that’s why people are making contact [with him]. 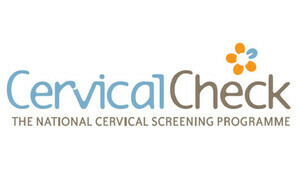 “They can see that they’ve had a diagnosis of cervical cancer after a history of clear smears. “They haven’t been notified by anybody about a clinical audit. Now they’re expecting a telephone call. “I wonder will they all get a phone call? Because I don’t trust this 206 figure. “Remember the 206 cases – that ultimately comes from an analysis of cases performed by Med Lab which is the organisation that performed the screening of the smears in the first place. “I would have thought that the 1,480 or so cases, that were identified, of women who had diagnosis or cervical cancer, following a clear smear – all 1,480 of those cases will have to be taken out and examined independently by cytologists. “That’s not such an enormous task as it sounds – each slide, as I understand it, would take about five minutes to be correctly viewed and then reported on thereafter. “But that’s the only way that it’s going to be, that trust for these figures will emerge. Posted in Misc and tagged Cervical Check, Cian O'Carroll, Vicky Phelan at 12:28 pm on April 30, 2018 by Bodger.